Smart birdy! So glad you got some rain. 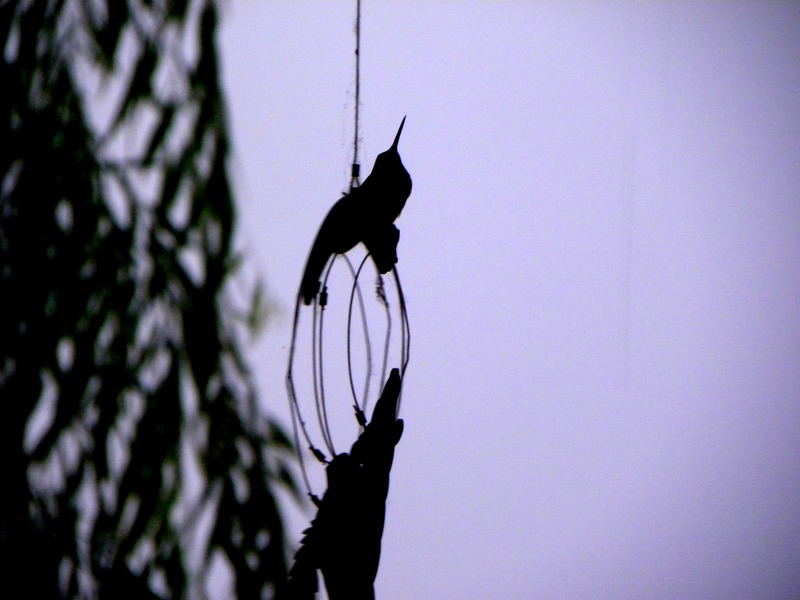 I hope you will pardon my observation that Hummingbird looks as if he’s been lynched. Not too often you see them perched. Looks like he’s praying for more rain! This is so beautiful and sweet and the dear little thing has such a perfect profile. It makes me want to hold it in the palm of my hand and dry it off. Maybe you could send some of that rain my way? I tried it with my eyeglasses and without… where is the little beauty sitting on? And is there a second one hanging with his head down? I would love to have hummingbirds here, they are so fascinating! Love hummingbirds! They are so delicate! Such a tiny thing. Wishing it well…….